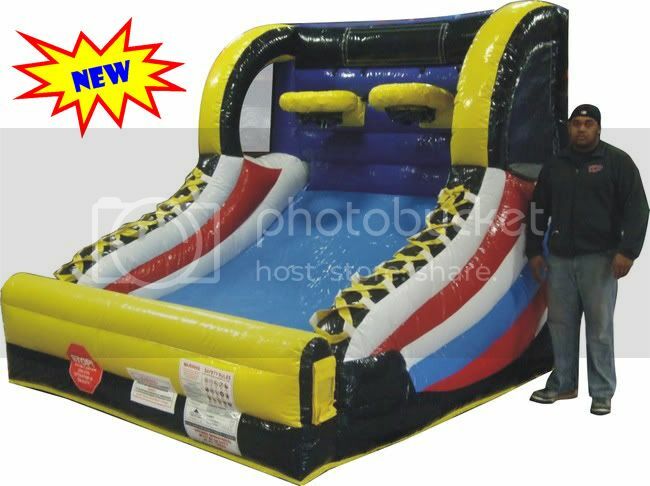 Inflatable Basketball Game Rental, Columbus GA - Jolly Jump Inflatables: Party Rentals Columbus, GA - Bounce Houses - Water Slides - Auburn, Opelika, Phenix City and Fort Mitchell In Georgia and Alabama. A basketball game shaped like a giant inflatable basketball shoe. Two contestants battle it out shooting free throws against each other in this fast paced and highly addictive game. We rent Inflatable Basketball Games in Columbus, GA and Auburn, AL serve the local surrounding areas.